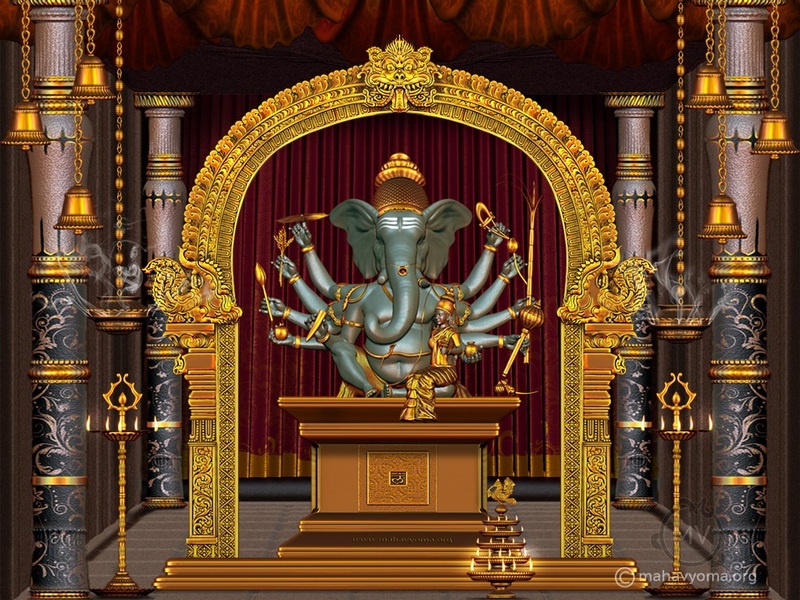 This Ganapati is ten armed, sits blissfully with his Devi. He is the controller of Creation and destruction. He holds Lotus, Chakra, Mace, Sugar-cane bow, broken tusk, flower pod, a long rice stalk, flower called Utpalamu, Pasamu, jem shreded bowl . Haindavam is not a religion, its a tradition. Maha Vyoma themes and personas for your browsers.